Our insulated envelopes are a lightweight, durable, thermal insulated envelope designed with a spacious payload chamber for your temperature- sensitive articles. Available in popular sizes, the insulated envelope can be used with or without standard overnight boxes for further protection. This envelope addresses the challenge of heat loss with its efficient insulation, reflective exterior surface, and virtually airtight payload chamber. Insulation: The envelopes are insulated with entangled, multi-denier fibers in an air-still bladder that restricts the penetration of thermal energy and minimizes shock and vibration of the payload during transit. Barrier: A multi-layered metalized exterior barrier composite minimizes heat loss by reflecting 97% of all radiant heat transfer. Seams: Proprietary welded seam-sealing process creates an airtight, crush-resistant compartment with structural integrity. Tape: Closure tape is wide, tamper resistant and designed to maintain its integrity even when the envelope is packed in dry ice. It is also available with non-permanent, re-usable closure tape for recyclable applications. For optimum results prior to packing, chill your payload and the envelope to the lowest possible temperature within your required temperature range. 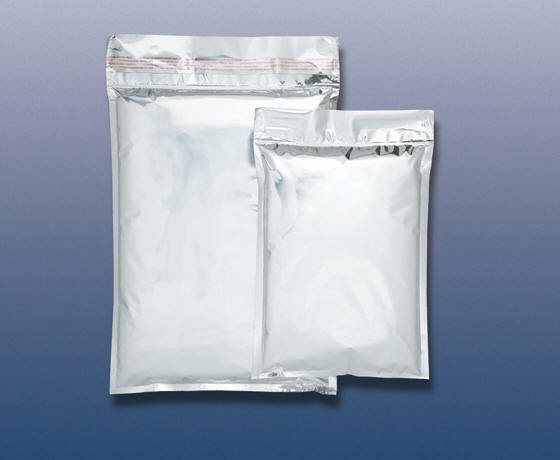 Refrigerant gel paks should be pre-frozen for 24 hours to maximize performance. Insert the product and refrigerant into the envelope. Peeling away the self-adhesive strip on the envelope flap and folding shut.